As a well established and reputable, professional cleaning company with a proven record of service to the Construction and Building Industry, we are pleased to offer our specialised services for any project within our area of operation, which currently extends from Berkshire to South Wales and from the Midlands to the South Coast. We can offer you over 20 years experience in the contract cleaning industry. All types of New Build and Refurbishment Projects undertaken. Apartments - Houses - Warehouses - Shops - Office Blocks. Steel work – High Level Cleaning – Window Cleaning – Floor Cleaning – Concrete Floor Slabs – Carpet & Upholster Cleaning – Insurance Work – Daily/weekly Cleaning Service for Site Cabins, Show Homes & Office. 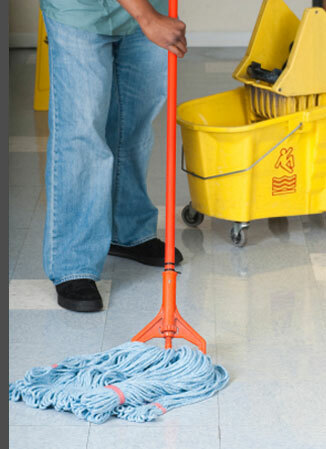 We maintain a stable work force of full time operators, experienced in all cleaning techniques. We use modern, well maintained equipment and recommended solvents and materials. Trained operators for all access equipment – Self Propelled Booms – Scissor Lifts. We have certificates for training on access equipment i.e. cherry pickers. Mobility and reliability are assured by our fleet of modern vans. Site Health & Safety are strictly observed and we are members of the Building & Safety Group Ltd. Responsible supervisory and quality control staff visit site daily and liaise with Site Management.